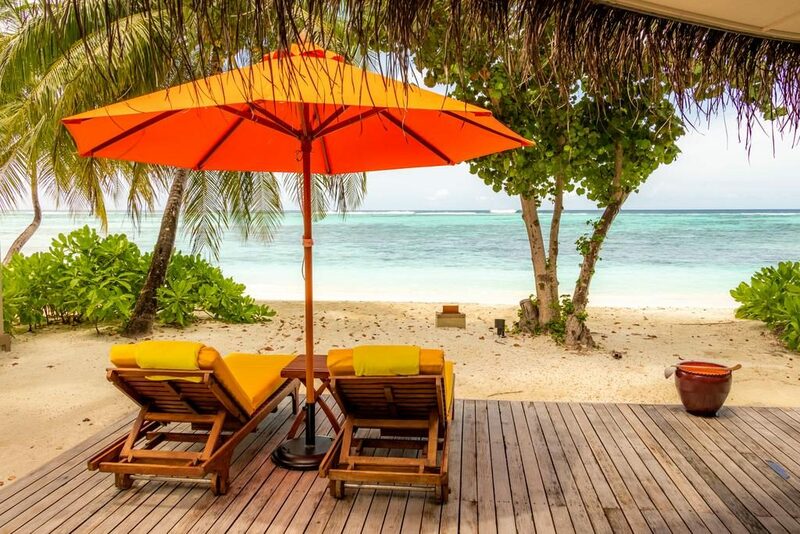 The stunning North Male Atoll is home to Paradise Island Resort & Spa, voted travel destination of the year in 2010, it’s a privilege and an honour to stay here. 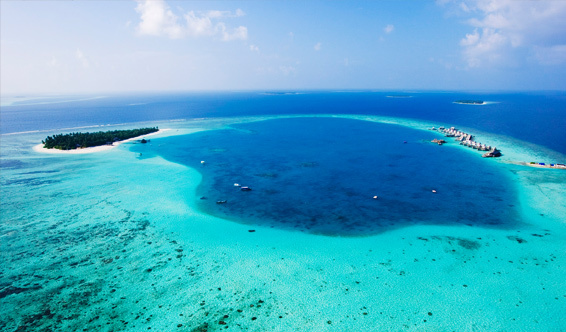 With secluded villas, a circular island and the most stunning turquoise waters ever just footsteps away, it’s one of Simply Maldives Holidays favourite destinations. 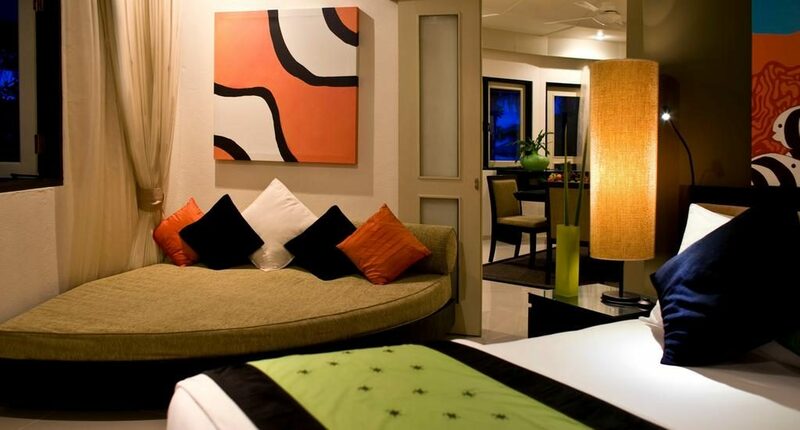 Spending time on a romantic break or a honeymoon, then you have adventure, intrigue and complete and utter relaxation in front of you. 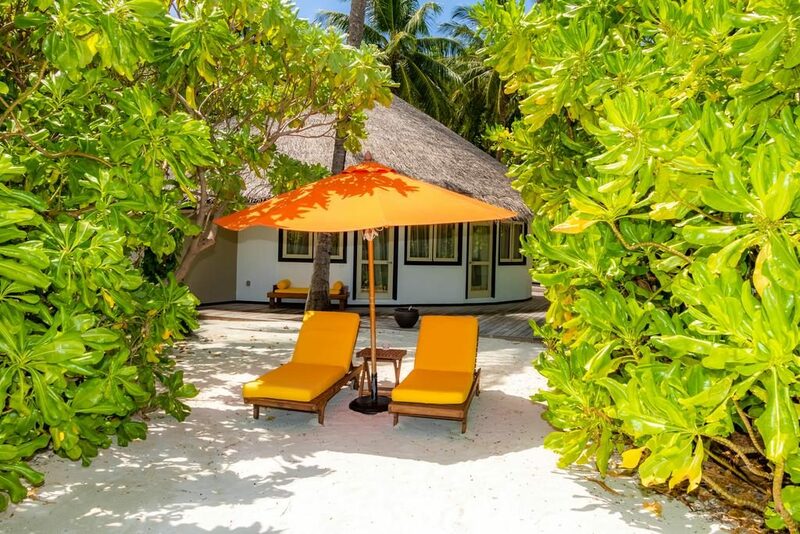 There are massage rooms, private outdoor shower rooms and staying here gives you a true feeling of living on a deserted island, except there are luxury restaurants, swimming pools and of course, your beautiful villa to stay in. 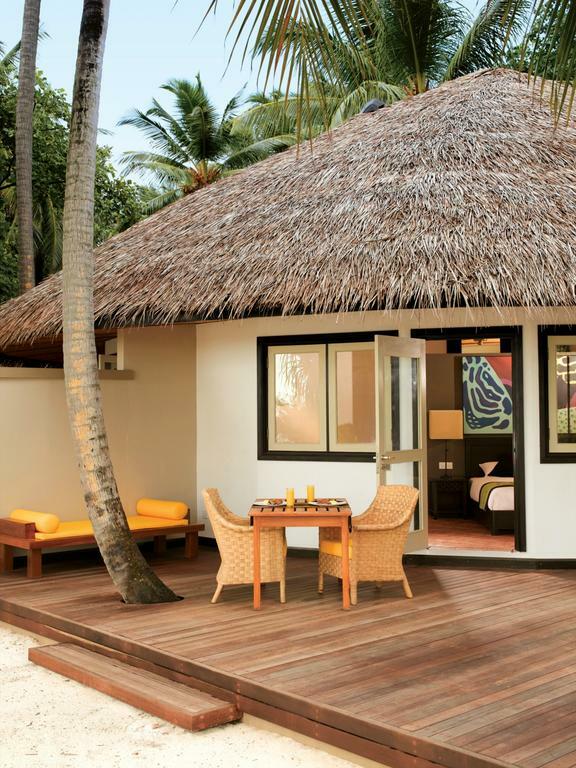 The Angsana Ihuru, is dressed with traditional and modern influences to the accommodations, from thatched roofs to minimalistic interiors; it’s everyone’s idea of paradise. 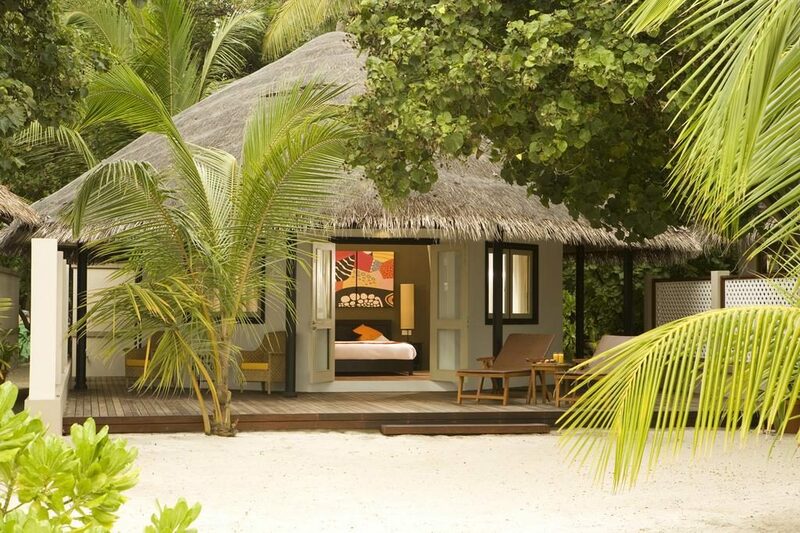 The beachfront villas (88 sqm) feature an ocean-facing bedroom which opens out onto a spacious veranda offering views of the Indian Ocean. 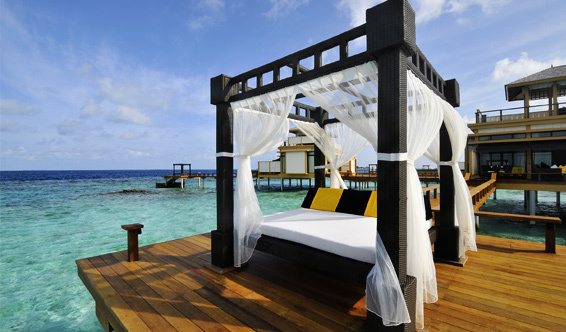 Also includes a sun lounger and outdoor space to take in a natural beauty. 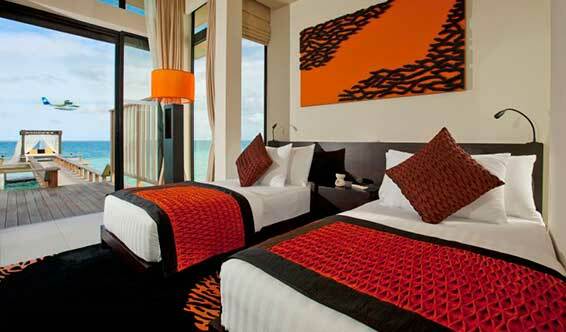 The beachfront jet pool villas (88 sqm) feature an ocean-facing bedroom which opens out onto a spacious veranda. 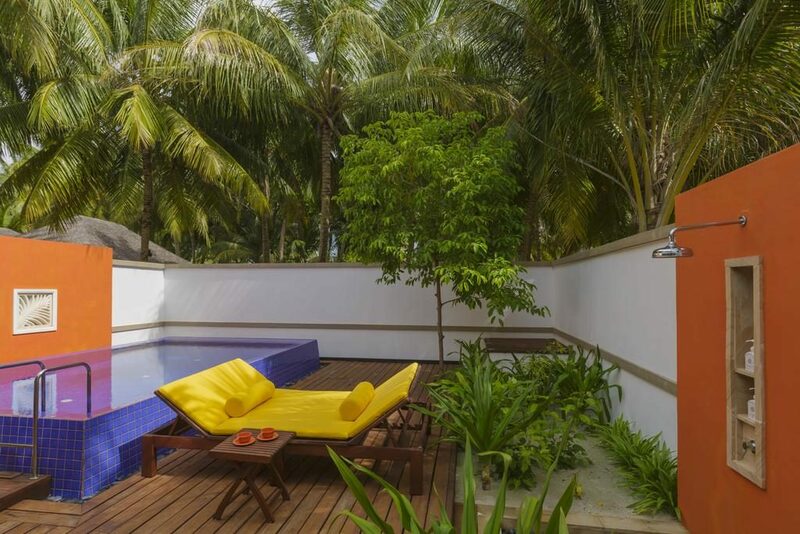 Also includes a sun lounger and outdoor space to take in a natural beauty, these luxury villas also have a jet pool to indulge in. 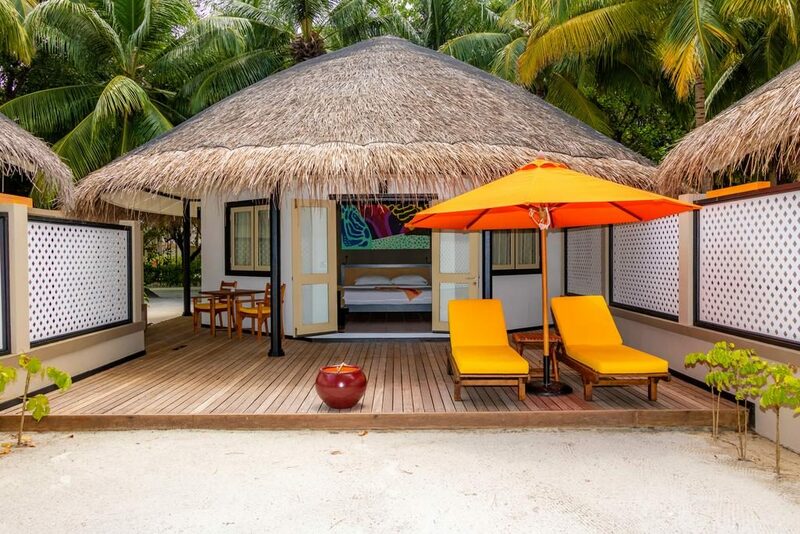 The deluxe beachfront villas (207 sqm) feature an ocean-facing bedroom which opens out onto a spacious veranda offering views of the Indian Ocean. 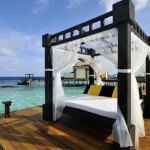 Also includes a sun lounger and outdoor space to take in a natural beauty. 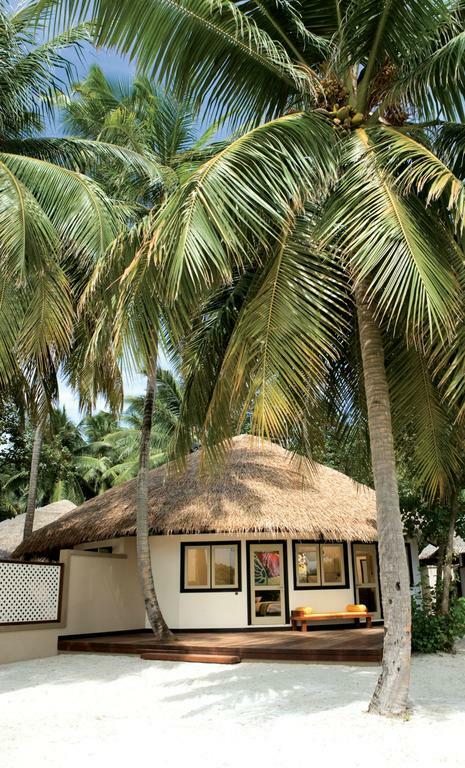 These spacious villas are indulgent and offer a private pool to enjoy. 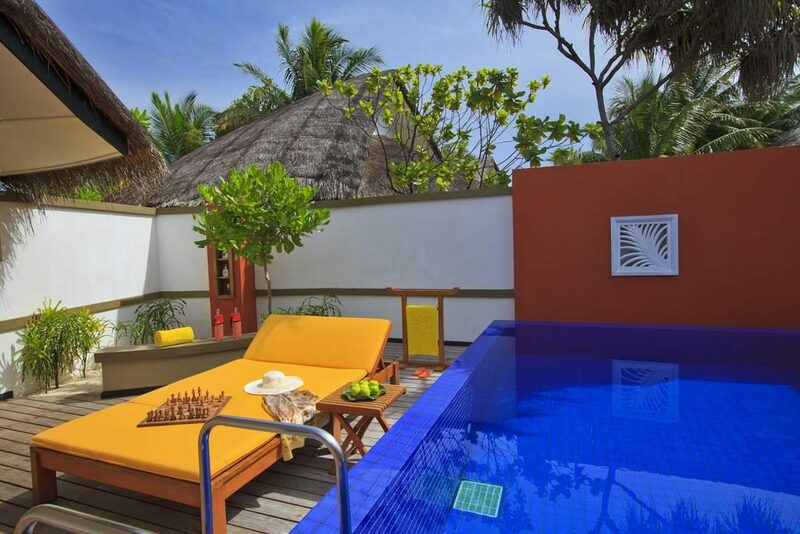 The Velavaru villa (323 sqm) is a spacious family retreat, with a stunning sea view. 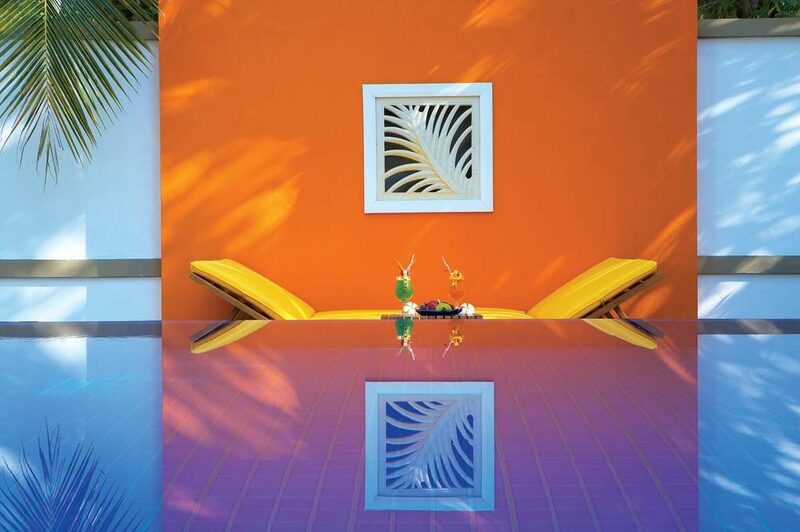 The villa also offers a private pool and gardens. 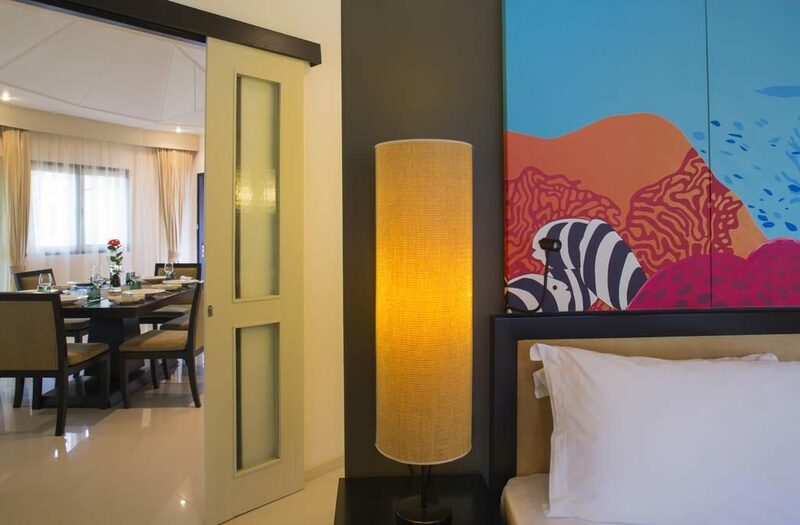 The Angsana villa (473 sqm) is a spacious two bedroom family retreat, with a stunning ocean view. 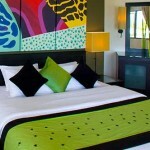 The villa also offers a private pool and gardens as well as a hot tub and patio area. 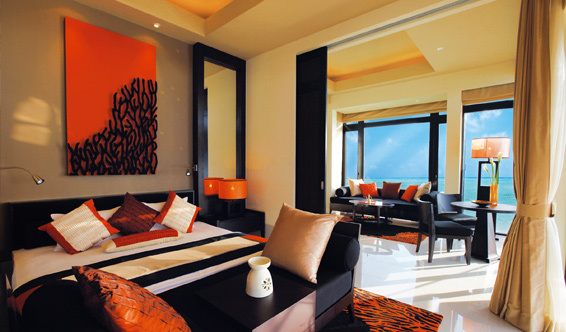 The In Ocean Sunrise Pool Villa (175 sqm) is a true luxury indulgence for the most tranquil of stays. Situated a kilometre away from the island and sits perched over the ocean, this modern two-storey villa enjoys wonderful sunrise views. 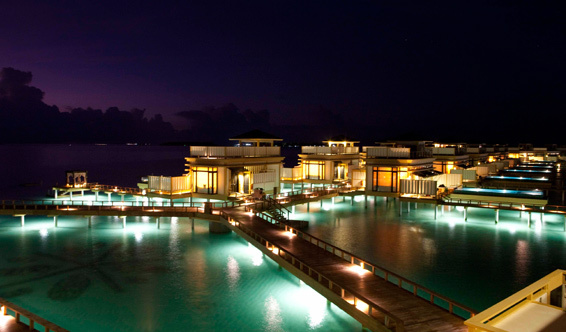 The features an outdoor infinity pool, an over-water hammock and an expansive outdoor deck. 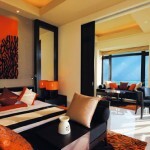 The In Ocean Sunset Pool Villa (175 sqm) is a true luxury indulgence for the most tranquil of stays. Situated a kilometre away from the island and sits perched over the ocean, this modern two-storey villa enjoys magical sunset views. 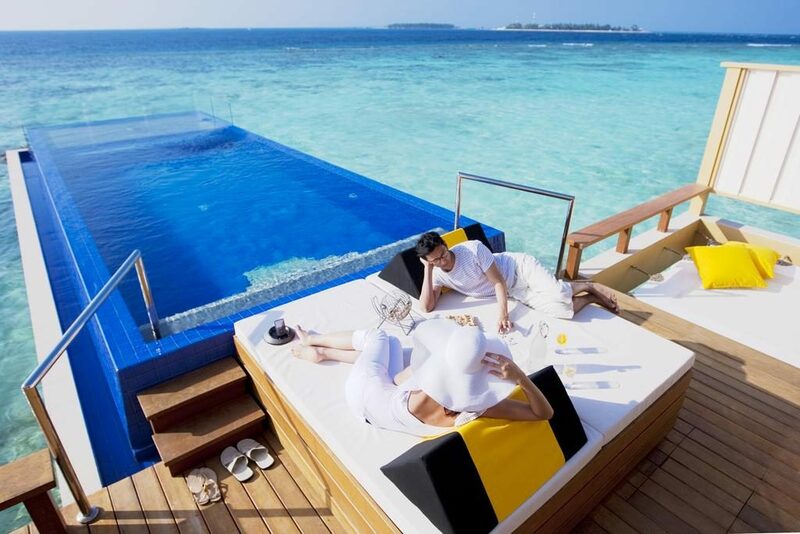 The features an outdoor infinity pool, an over-water hammock and an expansive outdoor deck. 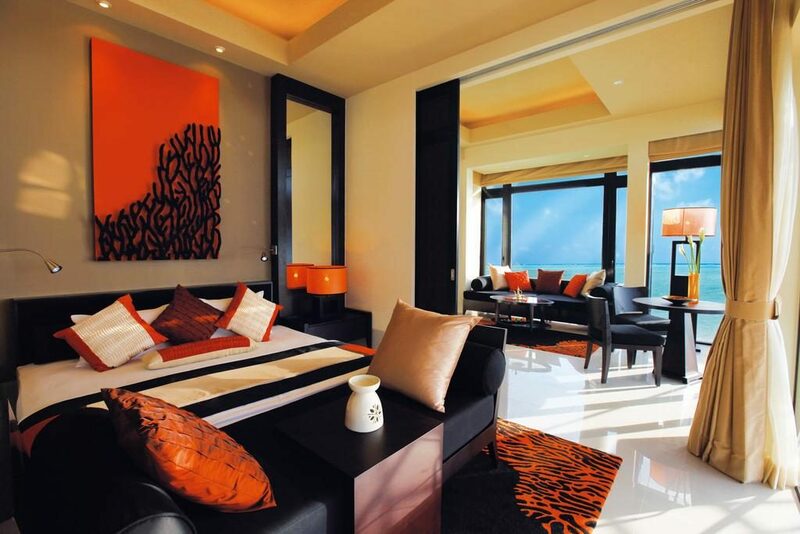 The In Ocean Sanctuary Pool Villa (287 sqm) features two indulgent bedrooms, a private pool and magnificent ocean views all set over the glittering waters of the lagoon. 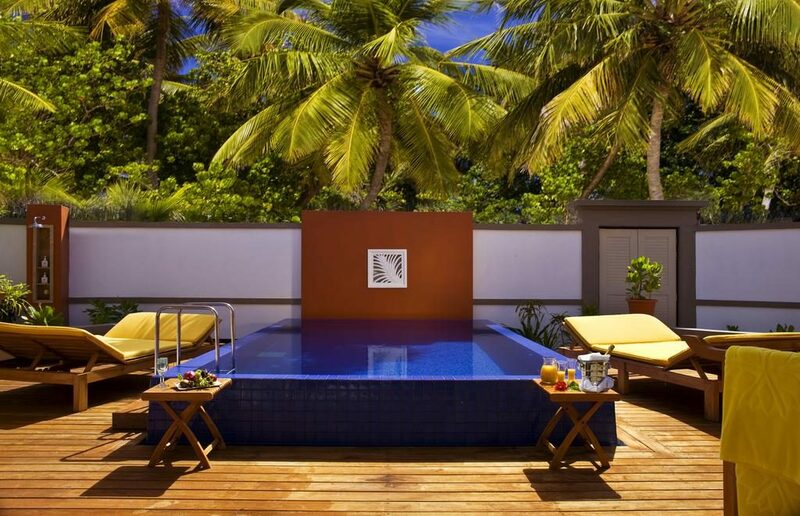 The In Ocean Sunrise Pool with sala (232 sqm) is a true luxury indulgence for the most tranquil of stays. Situated a kilometre away from the island and sits perched over the ocean, this modern two-storey villa enjoys wonderful sunrise views. 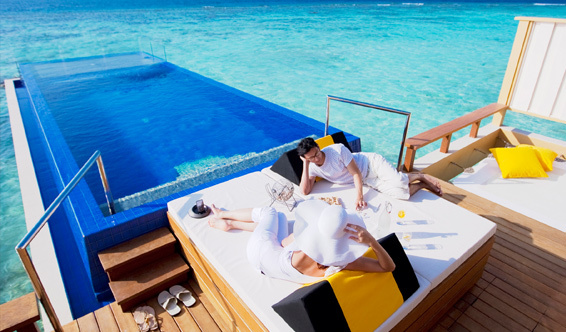 The features an outdoor infinity pool, an over-water hammock and an expansive outdoor deck. 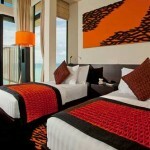 The villa also features a luxury sala to watch the sunrise from. 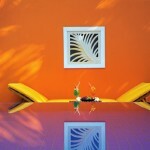 The In Ocean Sunset Pool with sala (232 sqm) is a true luxury indulgence for the most tranquil of stays. 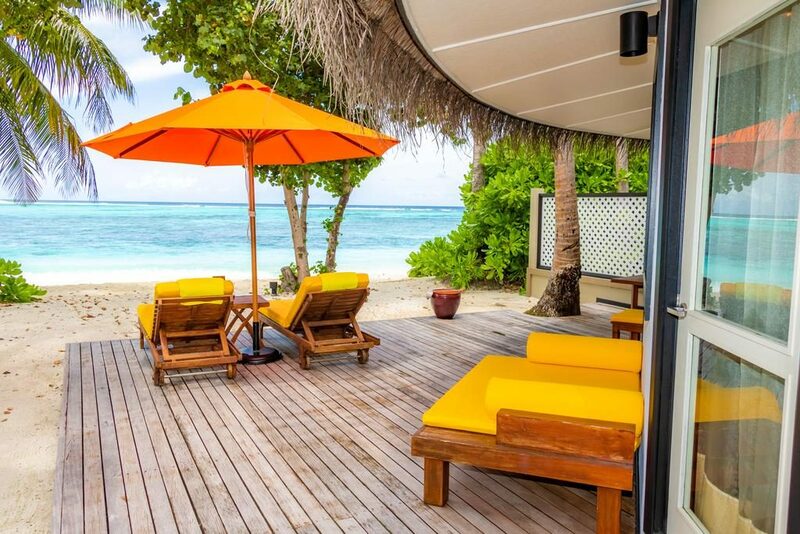 Situated a kilometre away from the island and sits perched over the ocean, this modern two-storey villa enjoys wonderful sunrise views. 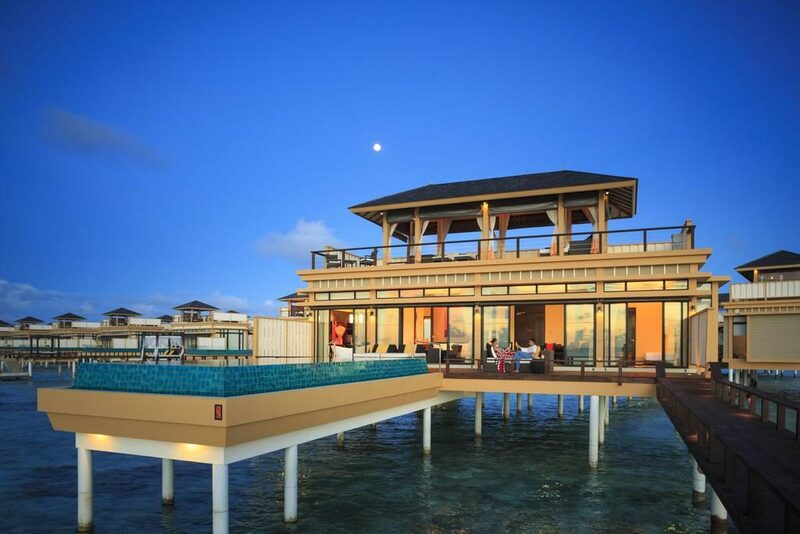 The features an outdoor infinity pool, an over-water hammock and an expansive outdoor deck. 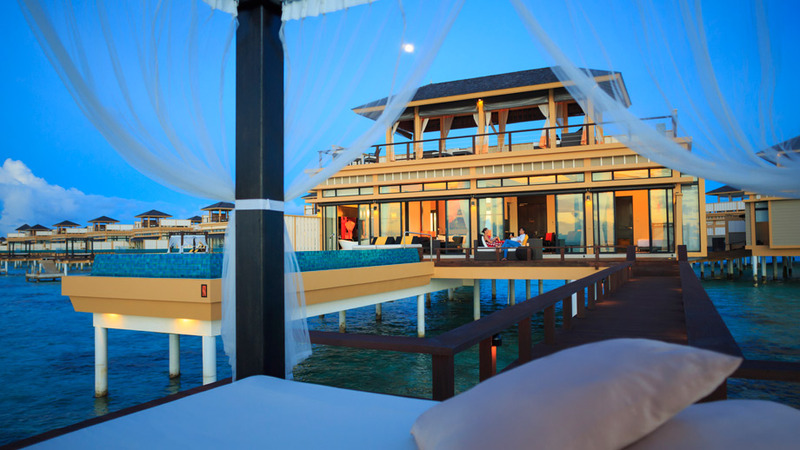 The villa also features a luxury sala and rooftop terrace to watch the sunset from. 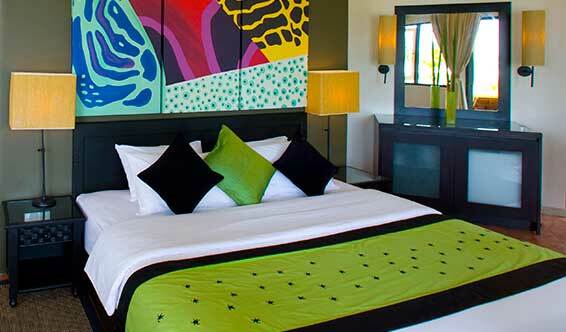 With just 45 villas, peace and tranquillity are guaranteed at the Angsana Resort & Spa. 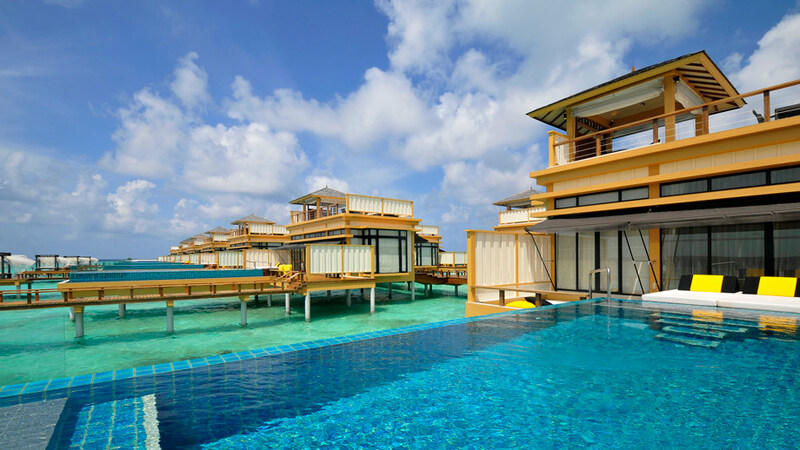 Simply Maldives Holidays recommends this resort as it is the epitome of true island life and due to the compact surroundings, the wealth of delectable cuisine and stunning ocean-front bar area, it’s one of the best resorts in the whole of the Maldives. 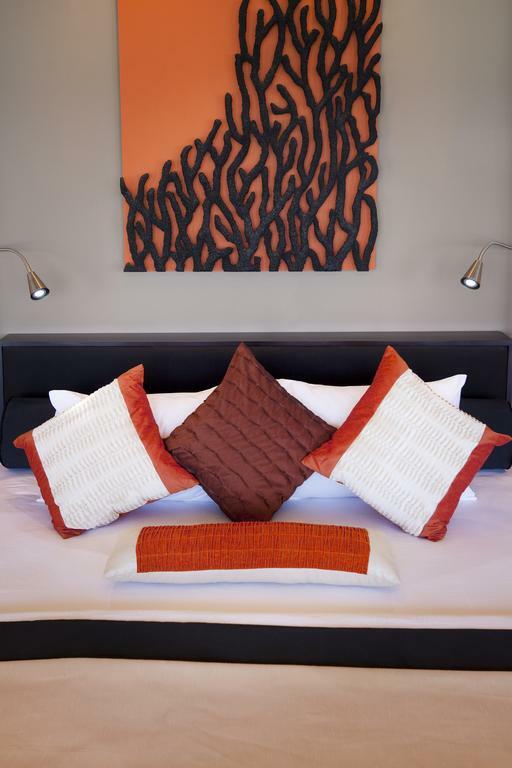 With stunning restaurants, a fully-stocked bar with international drinks, cocktails and beer, as well as many activities to take part in during the day, you’re free to roam the island and make it your own while you stay. 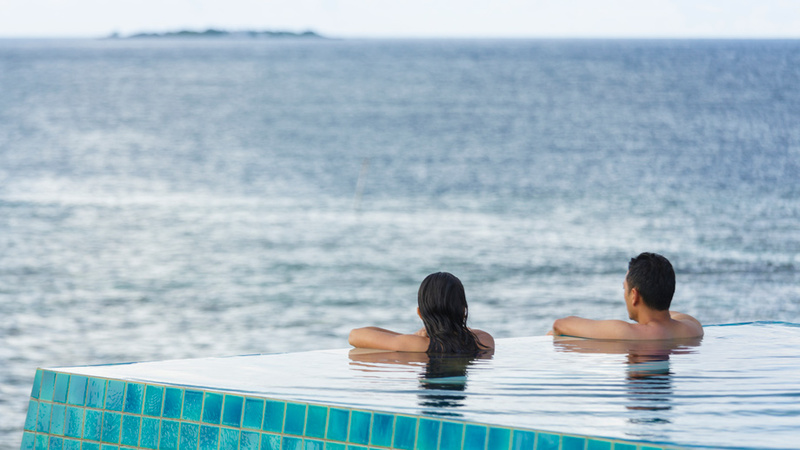 As the resort has a spa on-site, Simply Maldives Holidays suggests the ultimate in luxury and relaxation with a therapeutic massage, facial or treatment to help you unwind, release the tension and sink into the island way of life. 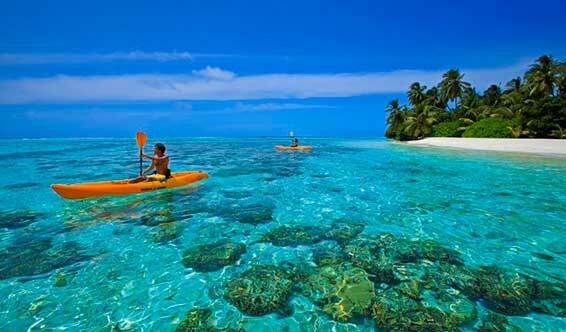 There are more energetic things to do, such as surfing, snorkelling, canoeing, scuba diving for beginners to experts, hobie-cat sailing, sports fishing and fun tubing. 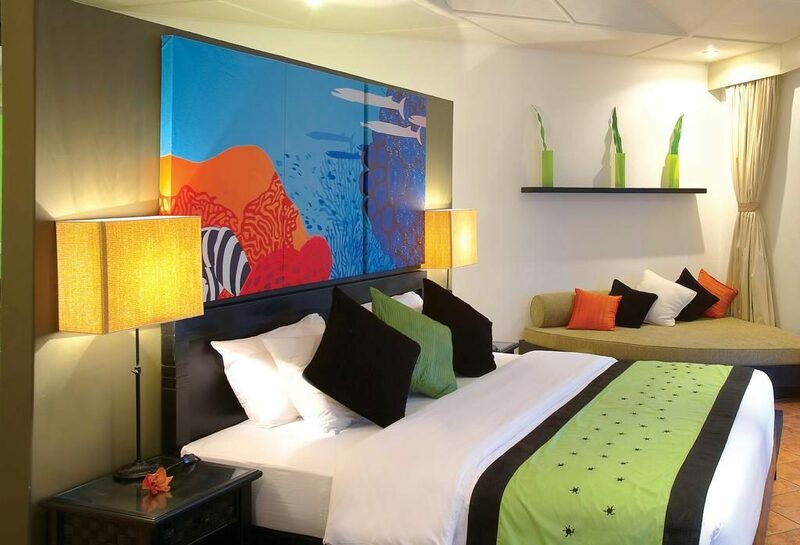 It all depends on your mood and energy levels, although sunbathing on the white-sandy beaches will capture most of your attention during your stay. From beach BBQs on an evening to live music and entertainment in the resort and the ocean-front bar, there is never a dull moment. 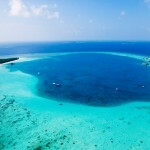 However, if you want peace and quiet, the island has many secluded spots where you can simply gaze into the Indian Ocean and be dazzled by the crystal clear waters of the lagoon. 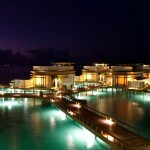 Riveli is not only the resort’s finest restaurant but possibly the most impressive in the world. With the dining area littered with warm, glowing lights based right above the inky water at night, it’s one of the most special places to spend your evenings. 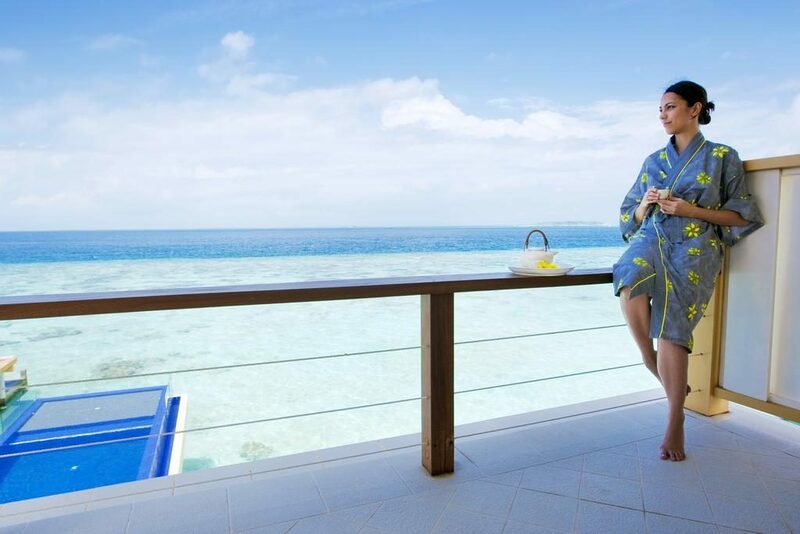 There is a walkway to a private sitting area so you can let the delicious Maldivian, Mediterranean or Asian cuisine you’re just had settle, and whether you prefer to dine indoors, outdoors or in the comfort of your own villa, the staff will gladly help. Set dinners or buffet meals are available, but whichever you choose, your taste buds are in for a bombardment of more-ish flavours and richness. 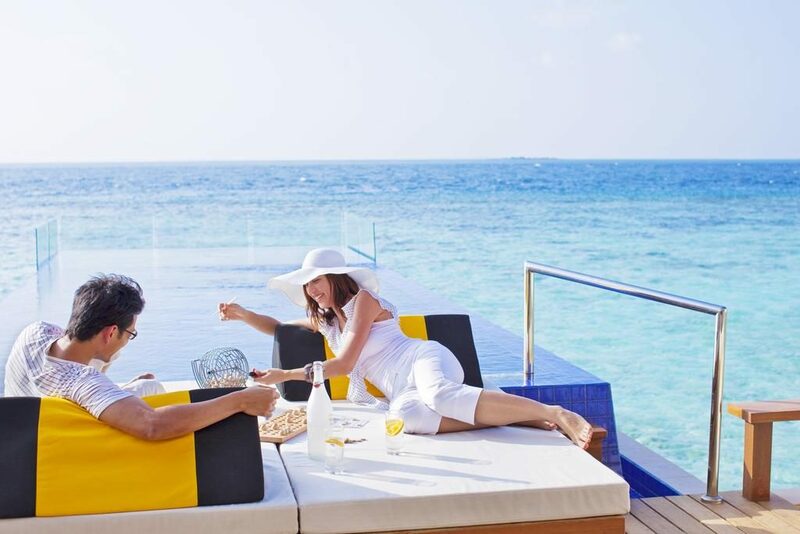 Unique cocktails, light snacks and a view to die for are the main ingredients to the Velaavani Bar. 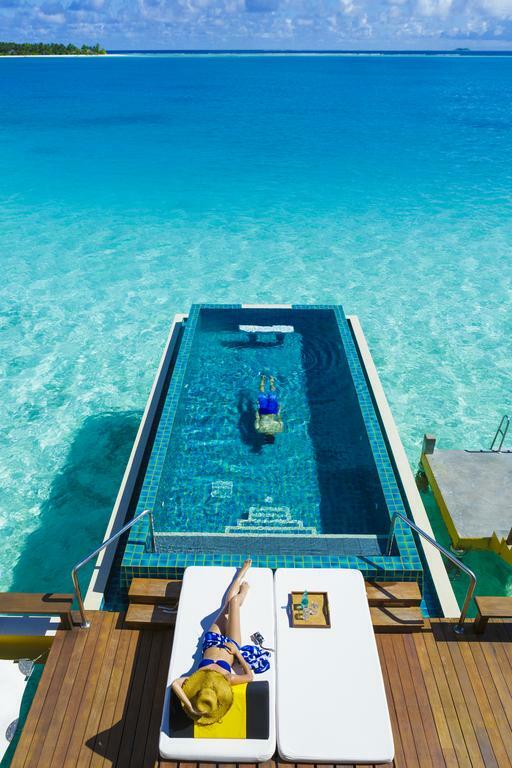 The edgeless walkway is just inches from the water and on an evening you might even see dolphins leaping above the surface or see a sea turtle gliding around just below it. 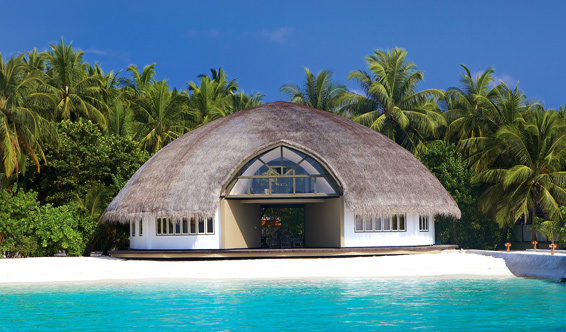 For a truly memorable time, Simply Maldives Holidays recommends the Velaavani Bar to cool off after a long day of sun-bathing and scuba diving. 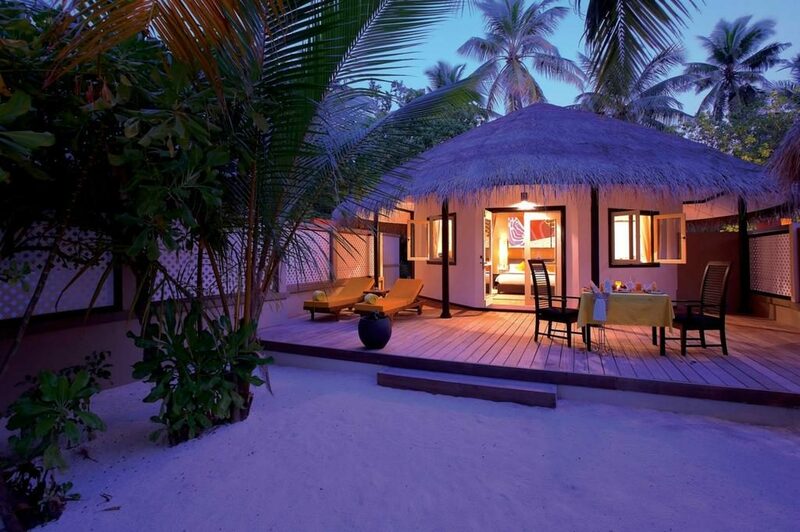 Enjoy your very own private BBQ with your own butler and chef serving you a private BBQ outside your villa. 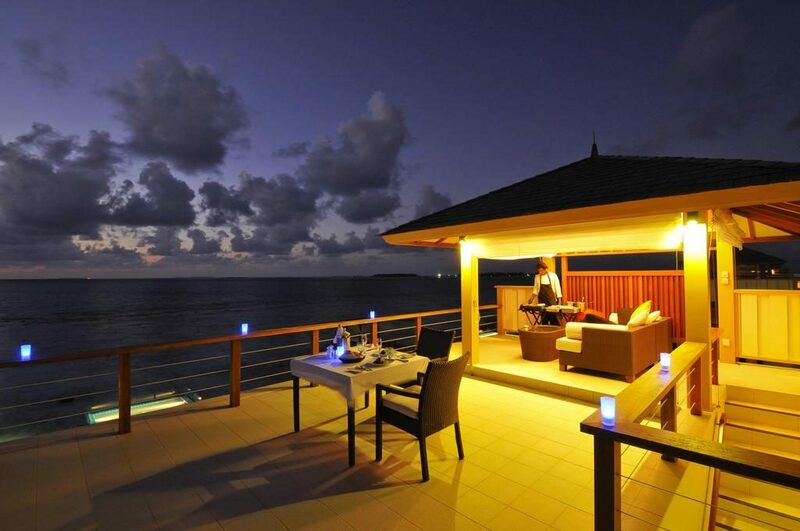 Enjoy a romantic evening on your love seat watching the ocean unfold in front of you while dining on char-grilled cuisine cooked in front of you. Every Saturday, there is a stunning lobster menu that is BBQ’d and prepared on the beach for all of the guests. 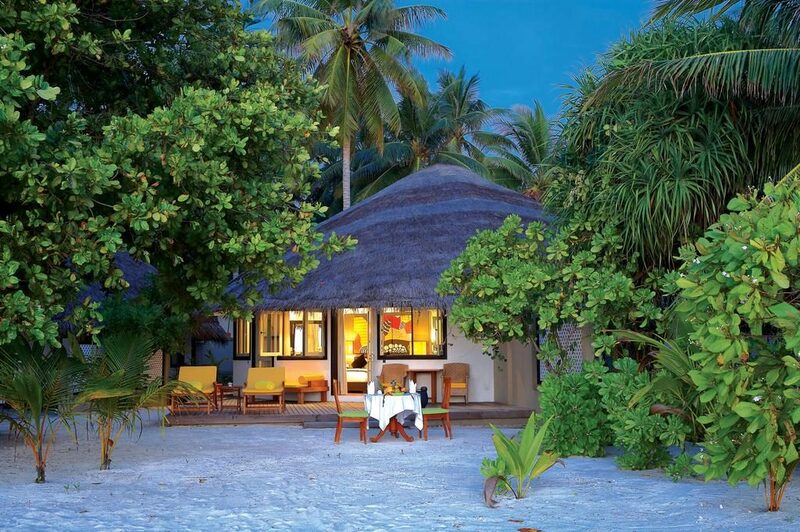 Enjoy the finest seafood under the stars and in the company of the trickling ocean and the white, sandy beach. 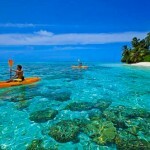 Take a trip around the nearby islands, sampling each of the five-course menu at different destinations. 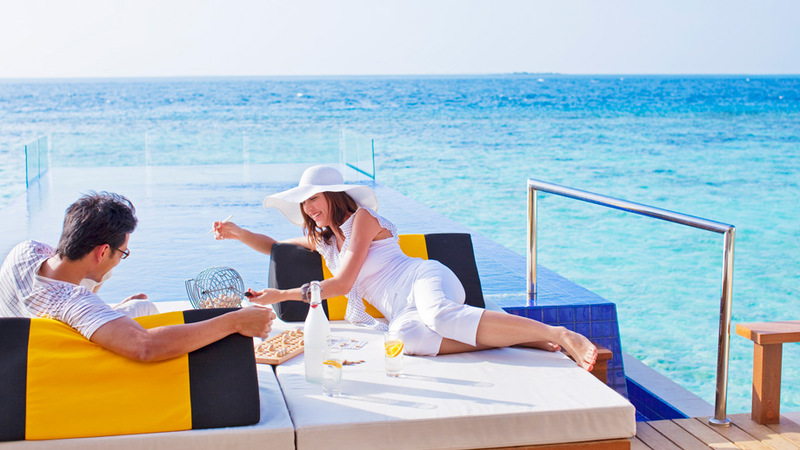 This unique dining adventure is fun and exciting, and you get to see even more of the Maldives. 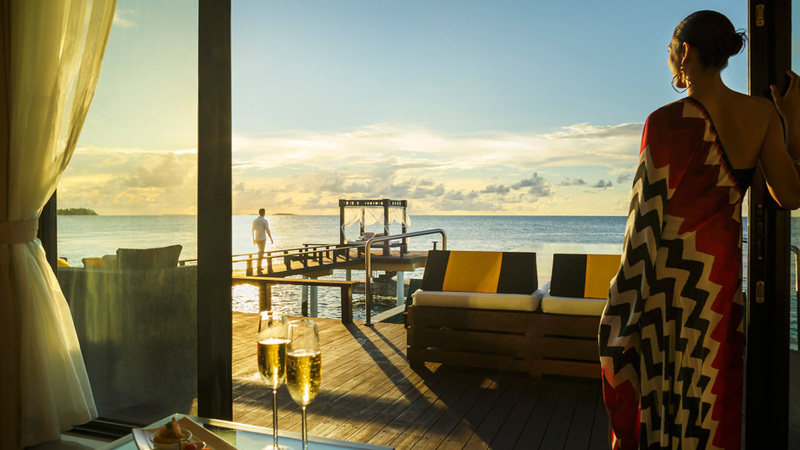 Champagne and canapés are served on the sailing trip, so you can bask in the warm evening with your loved one while seeking out hideaways on the island. 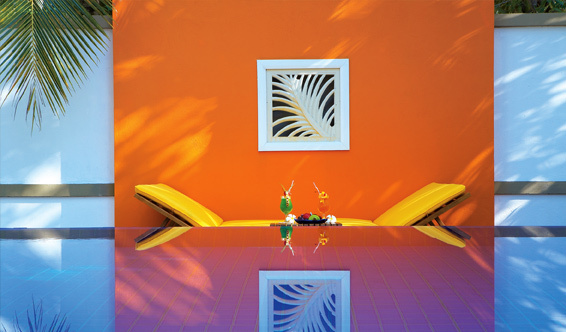 A five-course dinner is served up after the relaxing and enjoyable massage treatments. 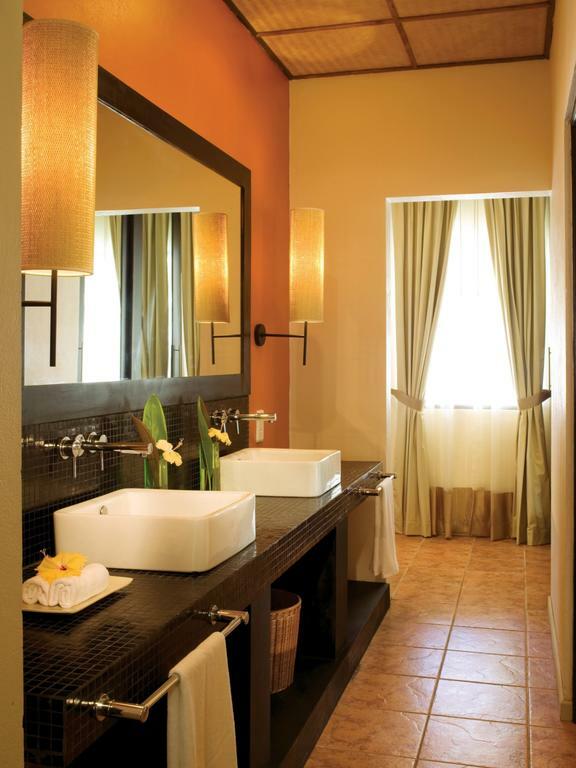 Enjoy the spa and the pampering as well as the stunning cuisine that is freshly prepared and cooked in front of you. 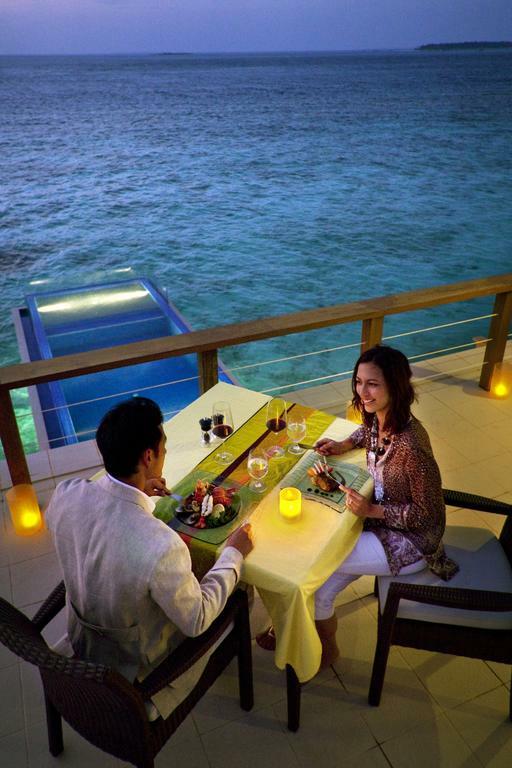 Climb aboard a speedboat and be taken into the sunset while dining on this romantic evening meal. 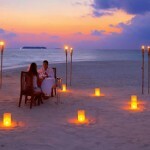 Sip bubbly champagne and breathe in the glorious BBQ scent while your dinner is grilled on the beach at the Sandbank.